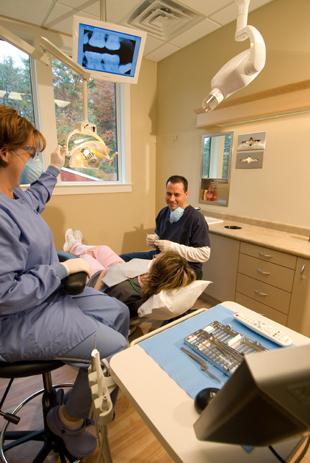 Fillings are done to remove decay, and replace the affected tooth structure. It is called a filling because a new material fills hole that decay left. Today most teeth are treated with bonded tooth colored composite resin fillings. Caught early enough, cavities can be treated easily and painlessly. If not treated decay can lead to tooth pain and/or infection, and the tooth would need root canal treatment or extraction.